Good location in the New Town area of Hobart but you probably need a car to get around. Spacious apartment, albeit dated by Northern Hemisphere standards but everything was provided, including guest laundry. Lots of parking and good Internet access. Recommendation to the Tassie Pub for dinner was excellent. Very clean. Had everything you needed. Great location. Staff very helpful. Have already recommended to others. Staff upon arrival extremely helpful and cheerful. First impressions always last! Graham Apartments are located in a very nice area with enough facilities in the apartment accommodating 7 members of our group. We enjoyed our stay there! Loved that the electric blanket was already on warming up the bed. We thought the welcome chocolate on arrival was a sweet idea. Easy after hours access to key. Kitchenette had everything we needed. Handy location. Decent sized and apartment for a family. It was exceptionally clean. The central heating was excellent. It's full kitchen. U can cook whatever you what easily. Lock in a great price for Graham Apartments – rated 8.7 by recent guests! 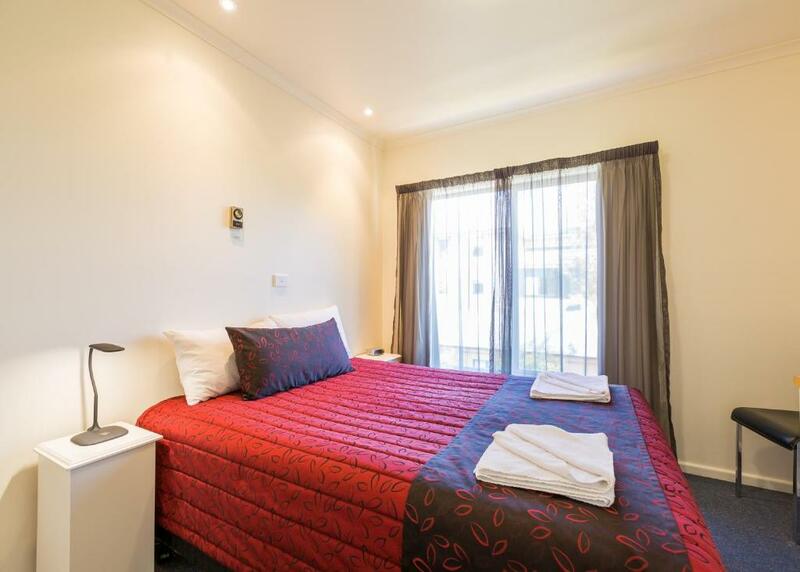 Graham Apartments This rating is a reflection of how the property compares to the industry standard when it comes to price, facilities and services available. It's based on a self-evaluation by the property. Use this rating to help choose your stay! 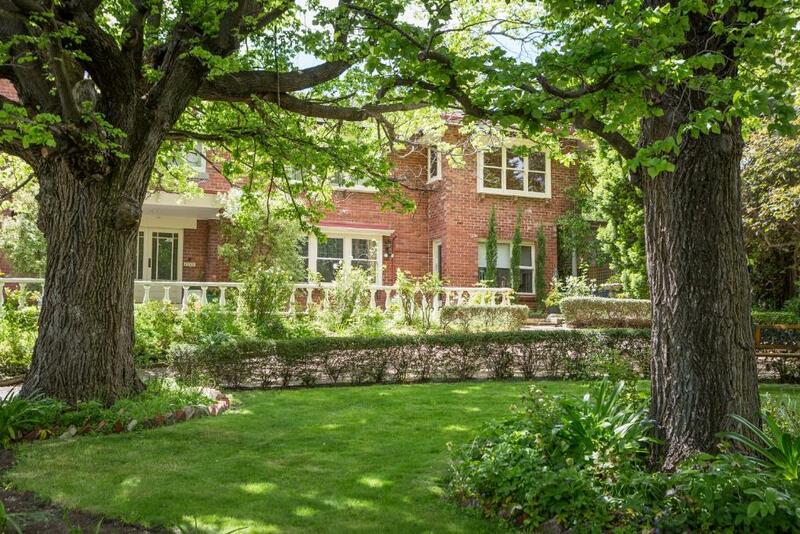 Offering free WiFi, Graham Apartments is just 7 minutes’ drive from The Royal Botanical Gardens. This self-contained accommodations features a flat-screen TV with cable channels. The barbecue area is set among beautiful gardens with century-old trees. 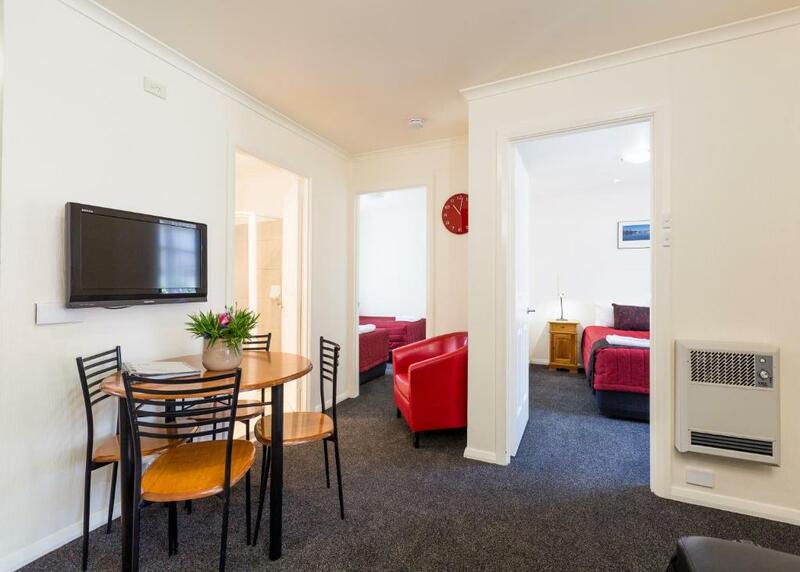 Graham Apartments New Town is 5 minutes’ drive from Hobart CBD (Central Business District). Hobart International Airport is a 20-minute drive away. All apartments have a fully equipped kitchen with a microwave and refrigerator. 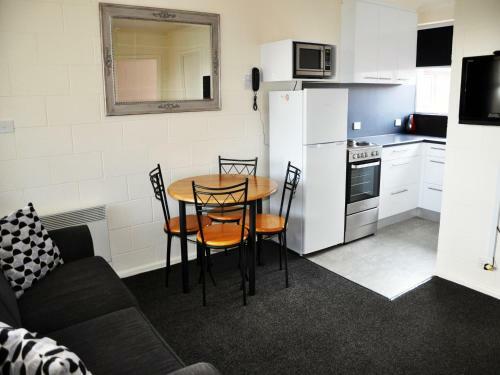 Each apartment includes ironing facilities and a seating and dining area. Graham Apartments offers laundry facilities. The tour desk can recommend local attractions and help guests with travel arrangements. When would you like to stay at Graham Apartments? This apartment features a full kitchen and a separate living area with flat-screen cable TV. This apartment features a corner spa or rectangular spa, both with an overhead shower. A full kitchen with stainless steel appliances and a separate living room with flat-screen cable TV are provided. To ask about spa availability, you can use the Special Requests box when booking or contact the property using the contact details found on the booking confirmation. This apartment features a full kitchen and a separate living area with flat-screen cable TV. It also has lovely views of Mount Dromedary and the Meehan Range. This heated apartment features a smaller kitchen and a separate living room. 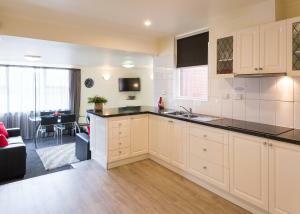 This spacious apartment features a full kitchen, 2 bathrooms and a separate living area with a flat-screen TV. One of the bedrooms offers views through the Elm trees to Mount Wellington. Graham Apartments Hobart comprises one, two and three bedroom fully self-contained holiday apartments. The apartments are continually being developed, are beautifully maintained and are the perfect Hobart mid-range accommodation. With just the right touch of luxury, they are best for guests looking for mid-range apartments. Guests Stay with us for the following reasons; Our Great Location. Variety of apartment units – perfect for small to large families. Beautiful Garden setting. 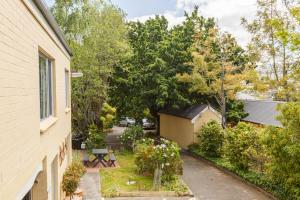 Great accommodation in the mid ranged price bracket. Clean and well maintained rooms. Friendly staff. We know you will enjoy your stay. The Gardner family and their friendly staff take pleasure in catering for the individual needs of their guests – be it families, couples or friends. 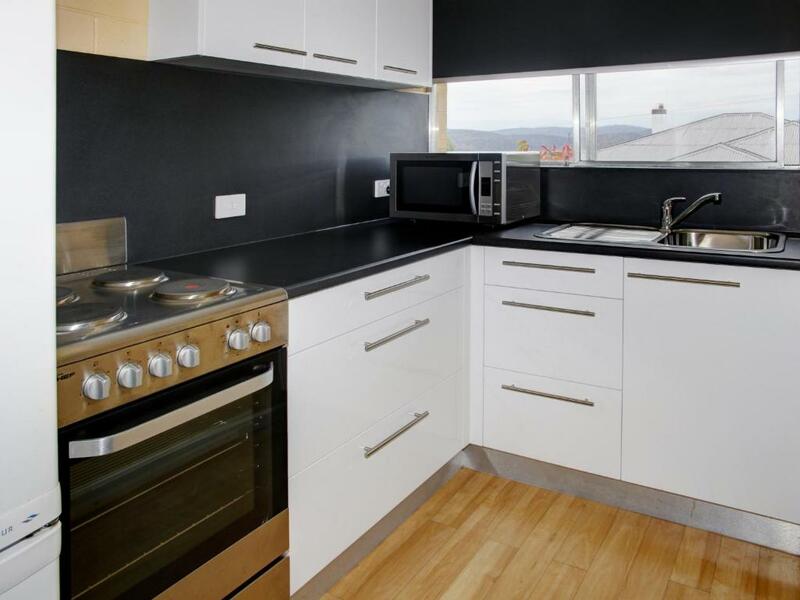 Graham Apartments is located above North Hobart and is close to a number of services for Travels. 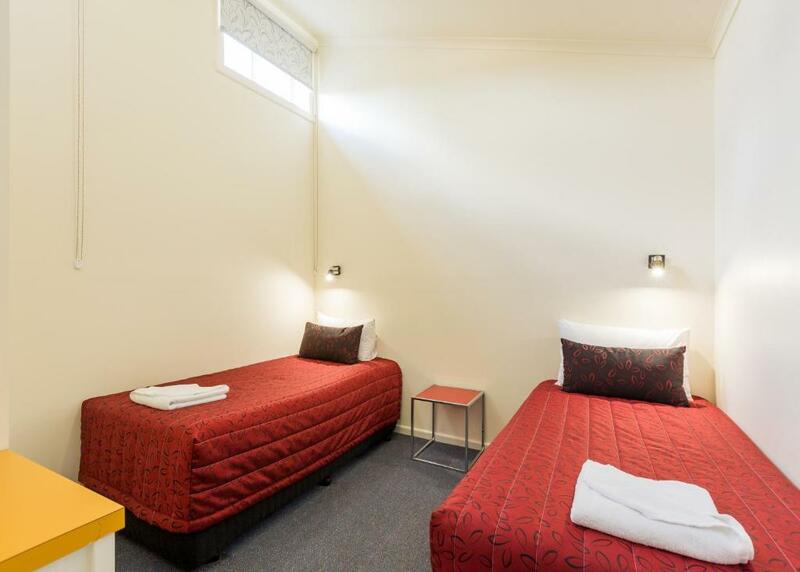 Our location allows guests quick and convenient access to hockey ground and other sporting facilities, The Derwent Entertainment Centre, Shopping Centres and Hotels. There are buses to Hobart and surrounding areas close by or just a 10 minute walk to the vibrant North Hobart Restaurant strip. House Rules Graham Apartments takes special requests – add in the next step! Graham Apartments accepts these cards and reserves the right to temporarily hold an amount prior to arrival. If you expect to arrive outside reception opening hours, please inform Graham Apartments in advance using the contact details found on the booking confirmation. Sharing with Victorian hockey groups. Music blaring at all hours. Not a nice experience. Cut the stay short. Clean & tidy unit. Modern. Close to where we needed to be. LOCATION WAS GREAT FOR WHERE I WAS WORKING. Excellent location. Very pretty grounds. Very quiet. Staff friendly. The apartment smelled unpleasant when we entered. Perhaps the carpet was dirty? The living room needs more comfortable furniture that fits the space. The main bed was very hard. The refrigerator was incredibly noisy. Windows rattled, bright security lights outside were very difficult to block out. The apartment was not in the building that was shown in the online advertisement. The outlook was not park-like! The bathroom & kitchen have been renovated & were very clean. The receptionist was friendly. Never saw any staff from the office they were never there. Convenience and location. Good amenities. Great parking. The apartment was very clean and well catered. Needed more bathroom supplies. A box of tissues would have been nice. Conveniently located to all things we wanted to do. Room was warm and beds comfy. Could do with air conditionng very hot at night. Nothing. It was great value for money. Great value for money. Clean and tidy facilities. Nicely renovated. Perfect for my family of 6. Lots of room..